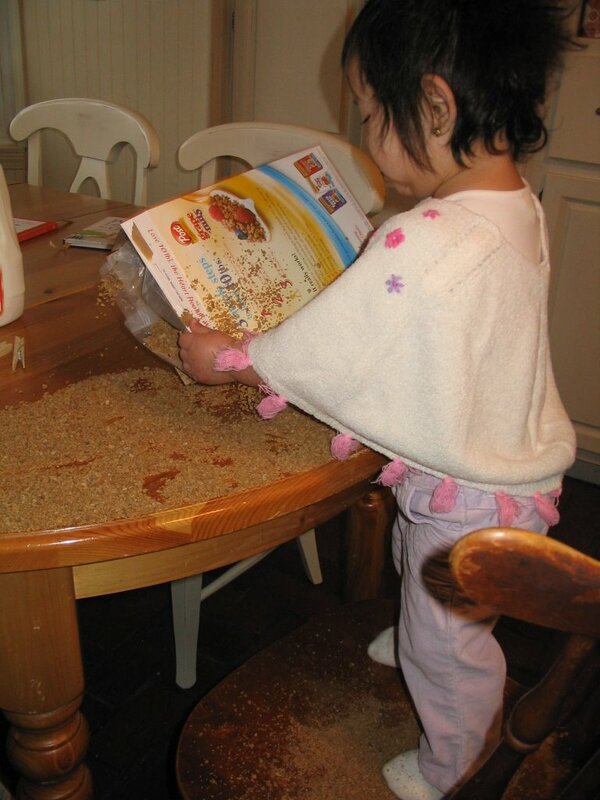 All was going fairly well for a Friday morning when I walked into the kitchen to find my precious daughter knee deep in Grape Nuts. My not-too-ready-for-responsibility 11 year old son had left the open Grape Nuts perched enticingly on the kitchen table. 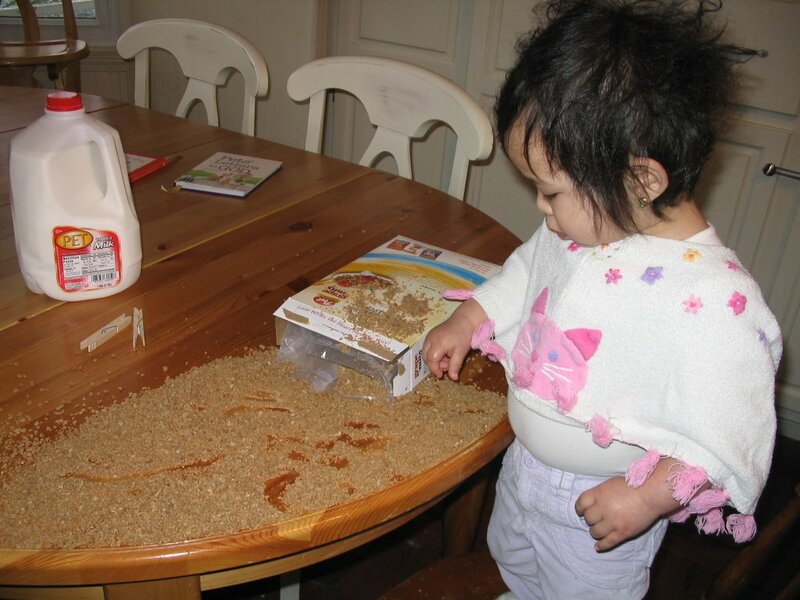 All I can say is, good thing she didn’t figure out how to open the milk. Isabelle’s site has been updated. If you’d like to check it out, click here.